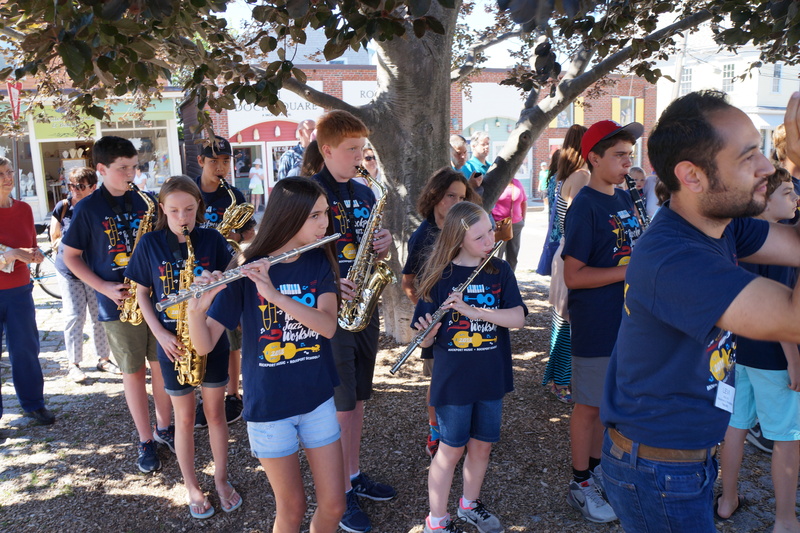 Rockport Music’s Education and Community Engagement programs provide learning opportunities and hands on musical experiences to the Cape Ann community. 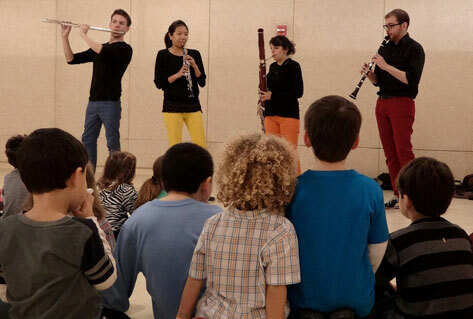 In addition to presenting free community concerts at the Shalin Liu Performance Center every season, the organization provides extensive and enriching multi-day artist residencies in the Rockport and Gloucester public schools that include side by side performances and workshops with students of all ages. Rockport Music also brings performances and educational opportunities to the broader Cape Ann community by collaborating with local venues such as libraries, museums, restaurants, parks and senior homes. Visit our PHOTO GALLERY for more pictures of Rockport Music’s educational activities. Rockport Music hosts a summer jazz intensive for middle and high school students– more info here. During town festivals, Rockport Music offers programs from instrument “petting” zoos and make-your-own-instrument workshops. 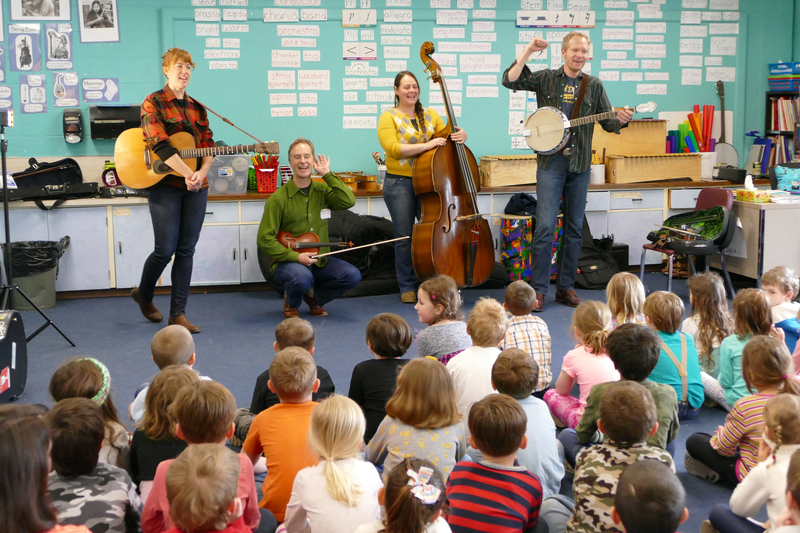 In collaboration with Pathways for Children Head Start program in Gloucester, Rockport Music offers interactive musical presentations to pre-school students, making music accessible, fun, and even therapeutic for people of all ages. Since 2009, the HARP (Healing Arts at Rockport) program–with community partners like Hospice of North Shore, the North Shore Education Consortium, and Union Hospital’s in-patient Child Psychiatry Unit–has touched the lives of dozens of children and adults (and their families) by providing music as a tool for self-expression, creativity and stress reduction. As part of the Healing Arts Program, world music ensemble Ten Tumbao provided a percussion workshop for children at the Hunt Center. Children of all ages participated in Rockport Music’s instrument “petting” zoo during the town’s celebration Motif #1 Day and took part in the make-your-own-instrument workshop during Harvest Festival. Students gained a close-up and personal experience with different instruments and how they are made. For information on Rockport Music Education and Outreach opportunities for your school or the Cape Ann community, please contact Rockport Music at 978.546.7391. Learn more about Rockport Music’s Education and Outreach programs by watching this brief Education video of testimonials by students, teachers and board members, as well as footage of school programs and student performances. For a list of upcoming community and education events, visit our COMMUNITY EVENTS page.